Offering spacious industrial offices with lots of natural light. No matter if you need a few square metres or a few hundred square metres, we can provide you with a perfectly sized environment for you and your team, set it up the way that works for you. You can access your secure space 24/7 – with full access to the Business Club. And because we know how quickly business can change, we’ll never ask you to sign your life away – our contract terms are flexible and tailored to your specific needs. Located in a former clothing factory, we can provide clients with a unique industrial vibe. This area in West London is home to a distinct metropolitan vibe with small-town kindness, making it perfect for establishing new partnerships and growing your business alike. Besides having excellent public transportation services, the neighbourhood is full of shops, boutiques, riverside bars and restaurants – making it the perfect place to unwind after a hard day’s work. 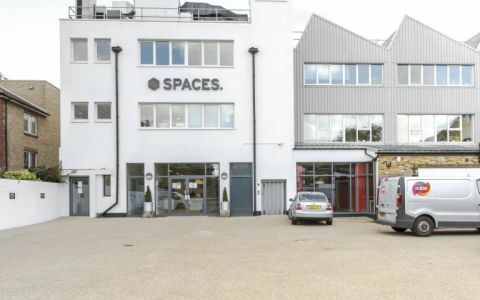 These offices in Fishers Lane offer a range of prices depending upon your exact requirements. Contact us now and we will help find the best price for you, based on your individual needs.